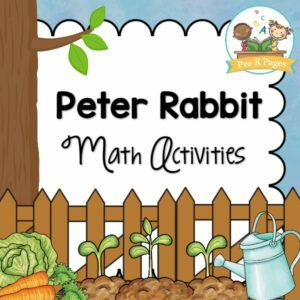 64 pages of fun, hands-on activities to accompany the classic book The Tale of Peter Rabbit. 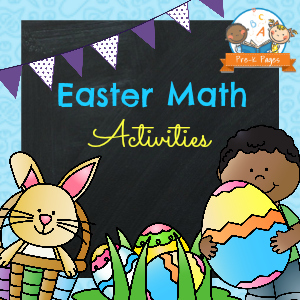 Math activities to help your Preschool, Pre-K, or Kindergarten students meet early learning standards. 60 pages of fun, hands-on literacy activities to accompany The Tale of Peter Rabbit. Small group activities to help your pre-k and preschool students meet early learning standards. 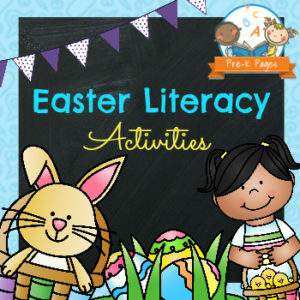 74 pages of fun, hands-on Easter themed literacy activities. Small group activities to help your Preschool, Pre-K, or Kindergarten students meet early learning standards.